Bach’s b-minor mass was the subject of one of my first blog posts nearly six months ago. I just love and admire this monumental work of beauty. I’m also a big fan of Gardiner. Many of his recordings with the Orchestre Révolutionnaire et Romantique of the classical and romantic symphonies are outstanding (e.g. his Schumann cycle), and his entire Bach cantata cycle with the Monteverdi choir is among my favorite versions. So when Gardiner released a new recording of the b-minor mass (his first dates back to 1985 for Deutsche Grammophon, still early days for the historically informed practice movement) I was all ears and have listened to it now for several times. Obviously, a lot of thought and the experience gained from the entire cantata cycle went into this new recording (there is a great article about it in the November 2015 issue of Gramophone). How does it compare to my reference version, Herreweghe’s 2012 recording? Well, it’s really very good, but doesn’t replace it. Let me try to explain why. With this monumental work, one thing you need to get right is the balance between power and nuance. The old recordings of the 1960s and 70s (e.g. Otto Klemperer’s legendary version, or Karl Richter) are powerful grandiose affairs, and then you have other versions that very much limit the number of singers, resulting in a very light and transparent sound. Gardiner choses something more on the lighter side (approx 30 singers), and also goes for a very clear and natural orchestral playing. And here we get to the only minor bit of criticism to the otherwise beautiful and near perfect recording, very occasionally, I’d just like a little bit more power and brilliance, exactly what Herreweghe does. Basically, the little additional sparkle, which he so often has in his cantata cycles, but here it feels somehow a little bit held back, not going at their full power. Enough nitpicking, this is an excellent recording, and really worth checking out. But I’m in love with Herreweghe and will stick to his version for the moment. As mentioned previously, I’m anything but a French baroque expert. I’m a big fan of Bach, love Händel’s operas and oratorios, but my main encounter with Rameau has so far been two excellent “best of” albums, the 2014 Le Jardin de Monsieur Rameau by the brilliant William Christie, and the equally beautiful 2013 album by the young soprano Sabine Devielhe with Alexis Kossenko, Le Grand Théatre de l’Amour. So I had a vague idea of what to expect when I purchased the latest release by Christophe Rousset and his ensemble Les Talens Lyriques. By the way, I’m not the only one who will discover the beauty of this opera. Unlike many of Händel’s operas that have seen major revivals in the last 30 years, the last time this has been recorded was 40 years ago by one of the fathers of the historically informed practice, Gustav Leonhard. Whether the story is worth following is up for debate. Luckily I speak French so I am able to follow the singing, but whether you’re actually interested in understanding what the genie Zaïs is up to, well your call. Basically, not surprisingly, he’s after a woman (Zélide), disguises himself as a shepard, and eventually is willing to give up his magic powers to be able to marry her. Luckily, his boss, Oromazès, king of the genies, is so impressed by the sacrifice that he’s ok to immortalize them both. Nice, isn’t it? What is interesting to note is that apparently, similar to Mozart’s Zauberflöte, this is a work inspired by freemasonry, the booklet tells me. Rousset is well known for his recordings of Rameau’s harpsichord works. He does a brilliant job leading his baroque ensemble, there is power and drive (check out the dramatic overture), but also always the right level of nuance if required. Some great singers as well. Sandrine Piau (love her), Julien Prégardien (son of Christophe), and their colleagues, if unknown to me, all do a great job. This album has been awarded “Choc de l’Année” (their equivalent of album of the year) by Classica Magazine and 5 stars by Diapason d’or. I wouldn’t go just as far. On my personal scale, Rameau still comes behind Bach and Händel, but he’s climbed some serious steps on my personal appreciation ladder with this album. My rating: 4 stars (true 5 star playing, but as said above, I still prefer other baroque composers). But you won’t regret buying it, I guarantee! These days from my admittedly biased European perspective you could say that all new great Jazz is coming out of Europe these days, especially in the Jazz piano trio space, basically since Esbjörn Svensson brought this art form into the 2000s, taking over a great legacy dating back to Bill Evans and Keith Jarrett. This is rubbish admittedly, although I have quite a number of posts in the making (at least in my head) about great artists like Triosence, Giovanni Mirabassi, the Tingvall Trio, Tord Gustavsen, etc., all from Old Europe. But obviously already Shai Mastro I mentioned last week is from Israel, and the birthplace of Jazz is still an absolute Jazz hotspot, and I’m jealous of anybody living in NYC for their live scene. Diehl really is an extraordinary talent. His first non-live album, The Bespoke Man’s Narrative (2013) was already eye-opening, and he certainly is respond for a large part in the appeal that Cecile McLorin Salvant’s debut album Woman Child had on me and many others (the album got a Grammy award nomination). This guy, born in 1985 in Ohio, is still very young, only two years older than Shai Maestro I recently mentioned. I expect this guy to have a great career, and be part, if needed, of the living proof that Jazz is not dead, but clearly very much alive (unfortunately in too much of a niche habitat). Nice title, first of all. It really illustrates the relevance of punctuation. Side note, can an album that has a track called Flux Capacitor be bad? (I assume I’ve just given away my age. If you have no idea what a flux capacitor is, think Doc Brown and DeLorean, if that still doesn’t ring a bell, well, you missed an entire decade and will just have to google it yourself). 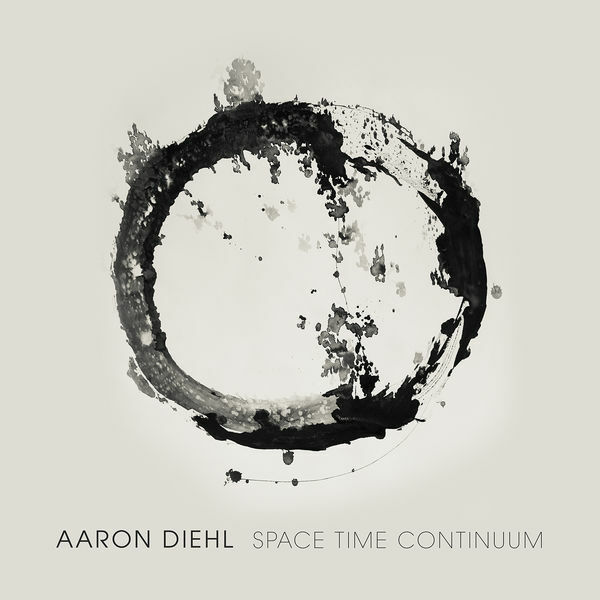 Diehl plays here with his regular trio of David Wong and Quincy Davis, but this isn’t, except for some selected tracks, a trio album. They are joined, in various permutations, by Bennie Golson, Joe Temperley, Stephen Riley, (sax all of them) and Bruce Harris (on trumpet). But no matter how many horns you add, the star remains Diehl. He is always present, and very nicely so. What is so special about him, is probably his touch, it always sounds easy and relaxed, no matter how complex the material gets. On the last track, we even get a guest appearance of Cecile McLorin Salvant. Well, she’s always welcome to pop up anywhere as far as I concerned, she is truly very special. I’m looking forward to her soon to be released new album. My rating: 4 stars, very enjoyable throughout. You can get it here or here as downloads..